Using the word CULTURE, my assignment was to design a poster around it! 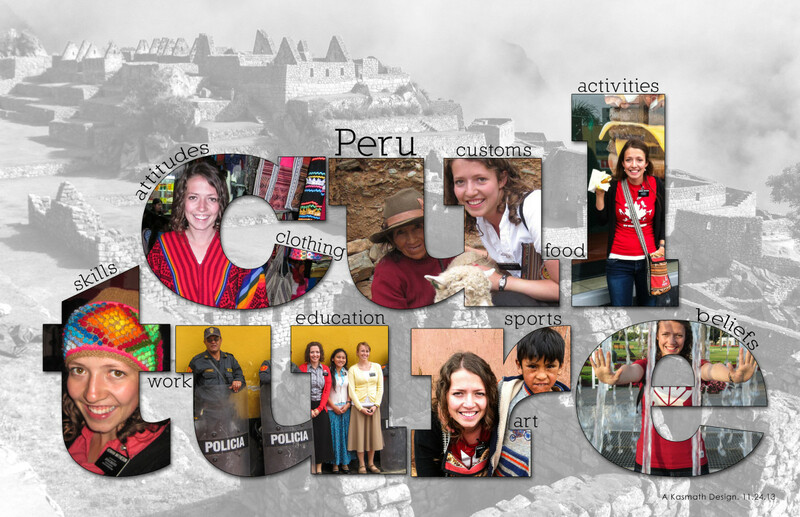 I happily used pictures of my daughter in Peru and the culture that she experienced there. I incorporated the pictures into the letters and then added words to emphasize it. I made the background using a picture of Peru and desatured it in Adobe Photoshop.